Gulf Construction Expo the leading construction and building expo in the Northern Gulf region, is held annually in conjunction with two other big events Gulf Property Show and Interiors Expo providing the biggest integrated business-to-business showcase for the construction, interiors and property sectors ever to be staged in the Northern Gulf. 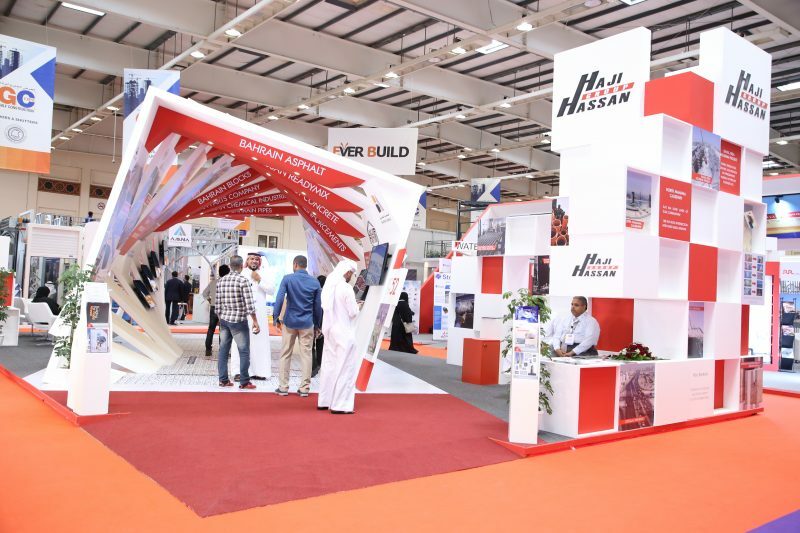 “The Best Stand Award recognizes the imagination and implementation of a marketing vision to promote an exhibitors products and services “ says Mr. Jubran Abdulrahman the Managing Director of the Expo organisers, HCE. Haji Hassan Group Exhibition stand design is basically being conceptualized and inspired by everyone’s favourite toy, the Rubik’s cube. It is an idea of puzzle game that it takes a time, a challenge and patience in order to reach its goal and objective. Like Haji Hassan Group, it took many years to establish and formed 14 divisions of its own. Each division has offered its own products and services yet it’s all under one roof of a diversified and huge construction company.